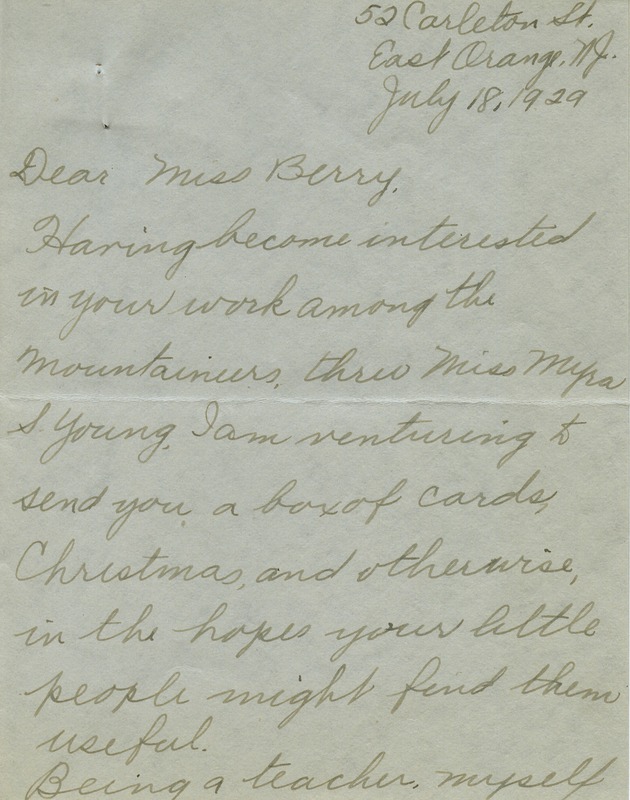 Ms. Bierson writes to express her interest in the Berry schools and ask if there is anything she can do to help. She also includes a box of greeting cards for the use of the "little people" at the Berry Schools. 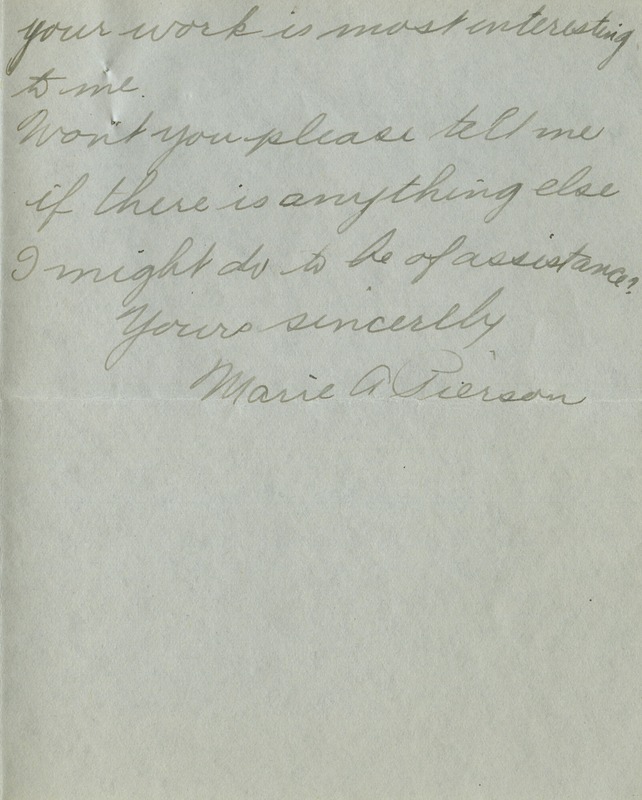 Marie A Bierson, “Letter to Martha Berry from Marie A. Bierson.” Martha Berry Digital Archive. Eds. Schlitz, Stephanie A., Chelsea Risley, et al. Mount Berry: Berry College, 2012. accessed April 25, 2019, https://mbda.berry.edu/items/show/10819.